Schoeman’s charges will face Japan and France on the opening day at Club Atletico San Isidro sede la Boya on Saturday, which will be followed by clashes against the USA and Argentina on Sunday, and Samoa on Monday in the pool stages. The round-robin games will be followed immediately by the final stages. “This is the first time that we participate in the Youth Olympic Games and we are very excited about the challenge,” said Schoeman. “Our biggest challenge is the fact that we have not had much time together as a squad as a result of examinations and the school programme, but we all agree that this is a fantastic opportunity to prove ourselves. 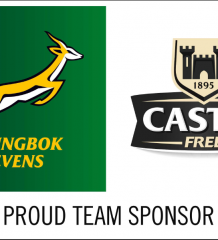 “This tournament will serve as a big boost in the players’ development and for our Sevens structures, as it will offer the players the best possible chance to test themselves against the top sides in the world in a prestigious international event. “The last big international event we participated in was the Commonwealth Youth Games in 2015 in Samoa, and we won that tournament.